If you’ve spent any time researching ancestors, or the history of your town, or even history in general, you’ve likely come across old group photographs. A workplace outing from long ago, an annual gathering of some institution or society, or maybe a family gathering. If you’ve stared into the faces of those who gathered for the photograph, you’ll likely come across a familiar face of a grandparent or long-lost cousin and you’ll soon determine the likely connection that brought the photograph into your collection. Sometimes, old group photographs provide a wealth of insight into your ancestors’ lives; sometimes, they create more questions. Often, they do both. Sometimes, you get lucky. Sometimes, someone made the effort to identify the people in your old group photos. And, sometimes, yes, they were wrong. Among the photographs I inherited from my grandmother was this one, showing a group of school age children, with their teacher, outside their school. On the back of this photograph, someone helpfully wrote that this photo showed my grandmother’s Colburn School class. Given that she was born in 1904, that would date this photograph to about 1910-1912. And, so it became family lore. 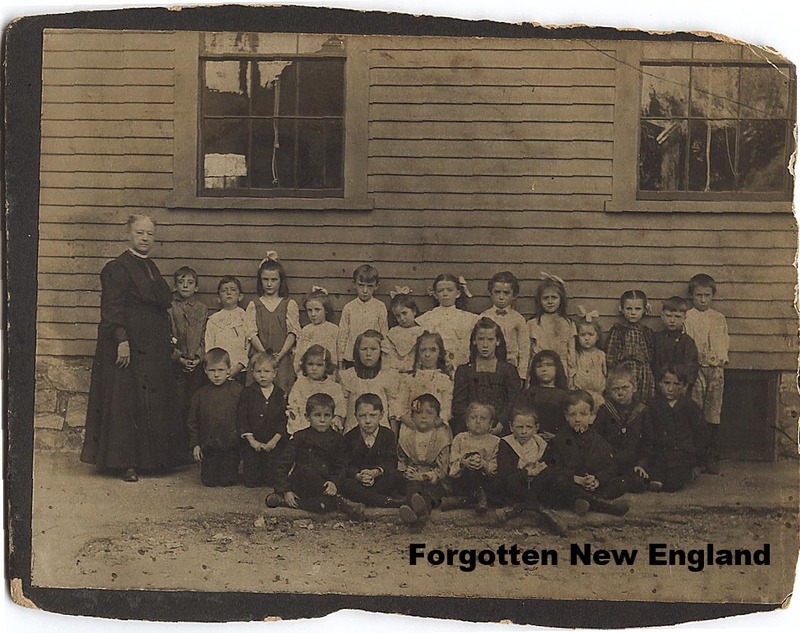 It was perfect, my grandmother (identified as the third from the right, in the top row), grew up only a few doors down from the school, on Lowell’s Lawrence Street. It was perfect, until I researched it – and tried to verify the description on the back of the photograph. There was a problem. 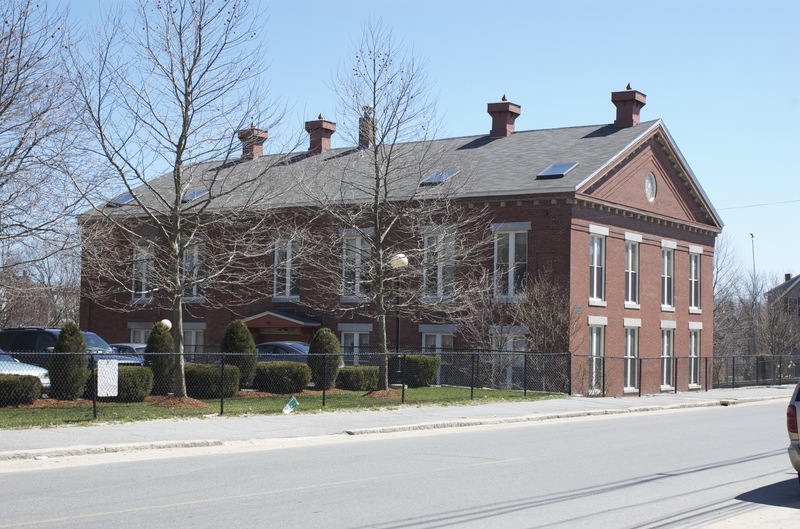 The Colburn School, one of Lowell’s first and built in 1848, was certainly old enough to be my grandmother’s childhood school. But . . . it was made of brick, as seen below. My photograph clearly shows light-colored wooden siding covering the school’s exterior. And so the mystery endures. Among the followers of this blog, I know there are a lot of experts in Lowell history. Does anyone have any ideas on when and where (in Lowell) this photograph may have been taken? There is a chance that it’s much older than the 1910-1912 date I had originally assigned to it. The group, which may have had ties to Lowell’s St. Anthony’s Church, remains nameless in my records – which has thwarted my attempts to learn more about them and their members. 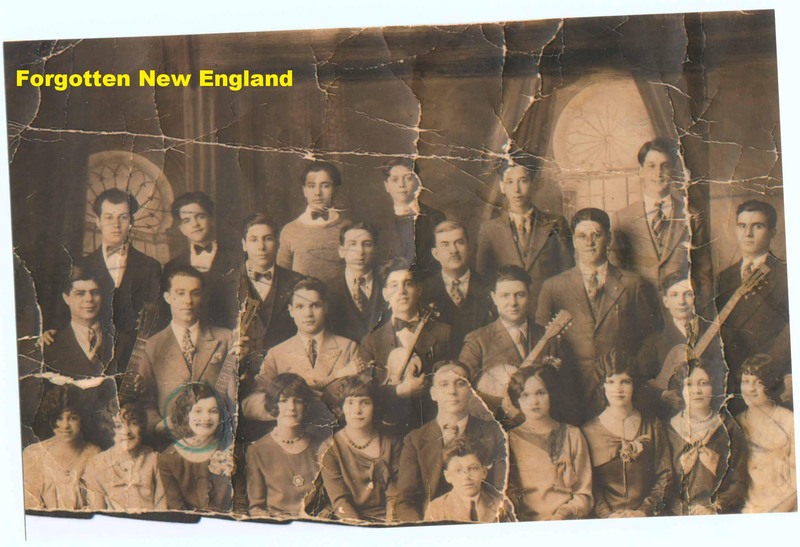 Is there anyone out there who has heard of any Portuguese musical groups, based on Lowell, Massachusetts, from the late 1920’s? Photographs are windows into the past. But, the details of the past become fuzzy with time, and often are lost as those who remember them leave us. Even without knowing the full story behind old group photos, they make for interesting browsing – showing life as it was in those days now reflected in our family trees. And, with a little bit of luck, sometimes, you can add some insight into your ancestors’ lives by learning about the groups they belonged to, and the friends and associations that they had. Readers, do you have any old group photos that have added insight, or mysteries, to your family trees? I’ve searched the local library’s database of old photos, some people are identified others are not. Unfortunately I’ve never stumbled across any that featured my ancestors. Still the photos are fun to see. Old family photos are treasures of the past. I enjoyed my journey and thank you for writing such a great article! Just a guess but that may have been the Ames Street School around the corner from the Coburn. I went to kindergarten there in the sixties. Thanks Bill – I’m going to look into that. That would make sense, since I know my grandmother lived right there, in the area. If I’m not mistaken, this was taken in the verry shady courtyard between the school and Cady Street. I tossed a kid out the window there in 1965. I think that just might be the Ames Street School, in say, 1910 or so. I think you’ve solved my mystery photo. On another note – you tossed a kid out of the school’s window? I think the story behind that might make a very interesting post! If you ever trace your Quintals to Portugal’s Madeira Island, let me know. I’ve got a database of Quintals from there, dating back to the 1530s. I have been trying to research my silva family from milpitas ca. Tony William silva &Claire Andrade Silva. Any info would be great. Thank you. I know I am late getting in on this conversation…but the photo of your grandmothers class is definitely Ames St. School. I also attended that school for kindergarten around 1969-70 and grew up not far from there. I also went to the Colburn School down the street. On another note, my grandmothers maiden name was Quintal and I seem to recall she was originally from Madeira, her married name was Mary Sousa. Hi Jeff – thanks for your comment and the information on the Ames Street School. I think your grandmother Mary was my grandfather’s younger sister. I’ve got some information and photographs of the Quintals. If you’re interested in more information, please let me know. I missed your last response almost year ago! Lol. Yes, we are from Madeira. My father and his siblings were born there. You mentioned that your grandmother grew up a few doors from the Colburn School – my great-grandmother went to the Colburn School in the 1850’s and lived about three houses down from the school. My great-great grandfather built the house at 187 Lawrence Street (still standing on the corner of Lawrence and Cady) sometime in 1830’s or 40’s..Where did your grandmother live? I am in the Boston area visiting family and drove up to Lowell for the day yesterday – my first time. I saw both the school and the house on Lawrence plus many other places that were connected with my ancestors. What a wonderful city!